Call it what you want, “gravel grinder”, dirt road ride, multi-surface exploring, I just call it a bike ride. If 2014 was the year of the fat bike, 2015 seems to be the year of the “gravel grinder” bike. Honestly I don’t like that term. I prefer anyroad, which has probably been trademarked by Giant, so I better watch out. Growing up in New Hampshire we’d run into dirt roads all the time on rides. Some of the best loops I used to ride had both paved and dirt. It’s also fair to say that “gravel roads” differ depending on what part of the country you are in. New England….not too many straight up gravel roads. Anyways, I finally got to do a connection I’ve been meaning to do since I got a map of the Tillamook State Forest. 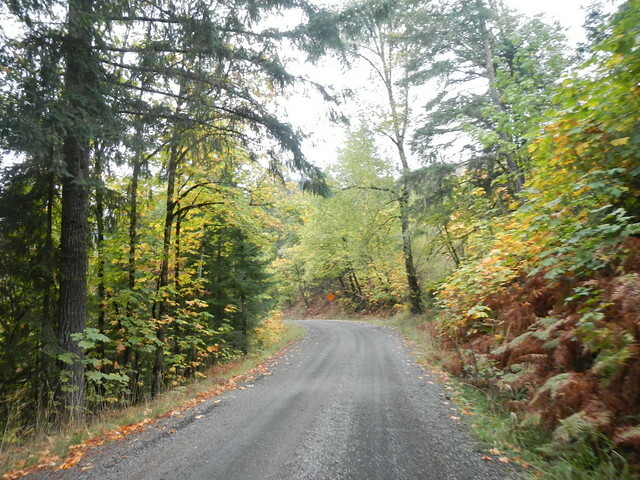 You see, there is a forest road from the backside of Hagg Lake to route 8. 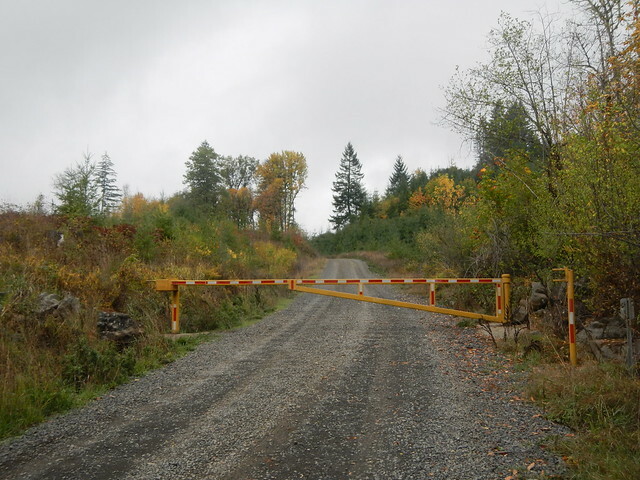 It’s called Scoggins Valley Road (SVR). From our place it was 26 miles to the start of SVR and then it was just around 16 miles of forest roads and followed by just shy of 30 miles of pavement back home. It’s been probably 2 months since I’ve had a good long ride like this. Half Marathon training has taken up most of my time. So I needed to get out for a long ride before I went bonkers. Plus I’ve been dealing with a bit of a right calf issue which doesn’t bother me when I ride, but acts up when I run, so I have only run once now in 2 weeks to rest it up. Not exactly the best 1/2 training, but it is what it is. 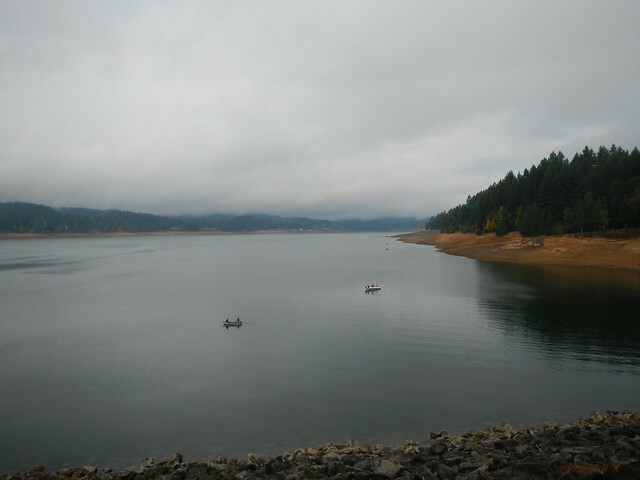 Hagg Lake from the dam. It was a bit cool, cloudy and damp when I left the house. My hopes were that it would clear up a bit during the day. The first mile or so of SVR has some quick elevation gain, then for about 4-5 miles it is a steady climb, but not nearly as steep as that first part. Not easy either, but doable. There are so many differing land owners and rules between what you can and can’t ride, it can be a bit confusing and down right frustrating at times. Luckily Stimson Lumber is a bit more straightforward with their posting and more or less unless the fire level is a “Level 2” or higher you can have walk-in access on the weekends between dawn and dusk. Weekdays are even more confusing, but the best synopsis is if there is active logging, stay away. I saw a decent amount of hunters while out riding. 2 guys walking, a whole group sitting around their trucks drinking and having lunch, and then I followed one truck for a couple miles as I descended back to route 6. I think they may have been a bit surprised at how well I was keeping up with them. Some of the descents were pretty gnarly. I did have one “oh crap” moment as I came into one corner a bit hot. Not to sound conceited, but I’ve got skills and I know what I am doing, so I pulled it off. 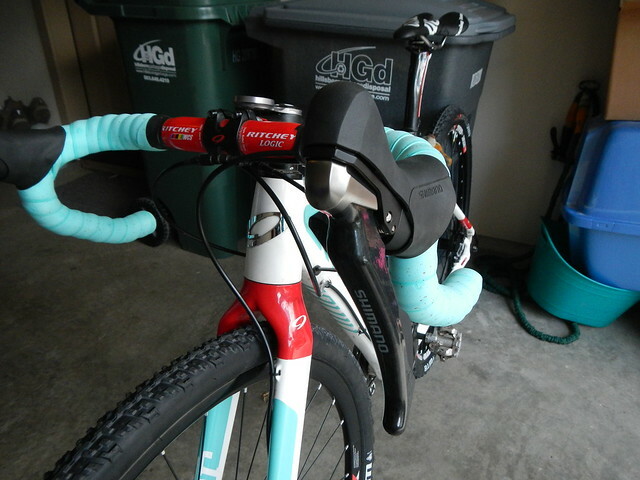 The RLT is now decked out with WTB Nano tires setup tubeless in a 700x40c size. They totally rocked on everything I hit them with on this ride. I am very impressed with how well they roll on the paved roads too. 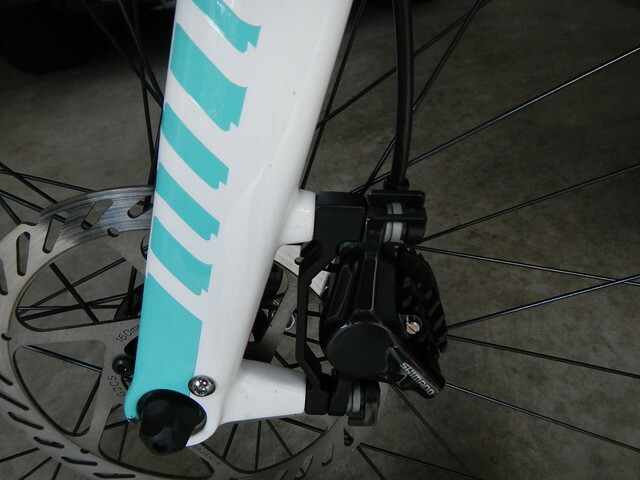 …….and hydraulics make for a killer combo. I’ll be the first to admit that I had a bit too little food with me on this ride. I ended up with 70 miles and almost 5 hours of riding. I made good time to SVR, pretty slow but steady on the logging roads, and then I just suffered the last 20 miles home. It was ugly a couple times, but I survived. While Mia went to see Madonna at the Moda Center last night, I sat on the couch and watched a movie with Caleb and Codi. That’s a great way to spend an evening! Next goal is to connect Old Wilson River Road and SVR. It’s possible, but I just need to figure it out. The Old Wilson River Road is pretty steep from the GPS files I have seen, so it may call for the Salsa Fargo instead of the Niner. Nice. Need to get out that way to explore more. 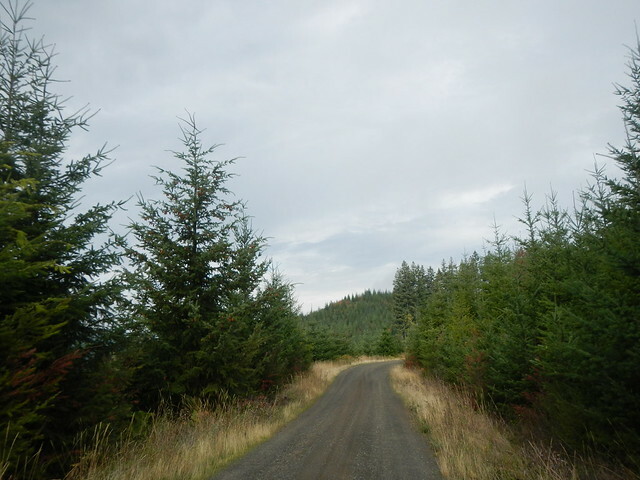 I’ve done a few rides up and over Chehalem Ridge, which has quite a bit of gravel ascents/descents. I’m trying to plan a group ride out that way in mid-November. As for my “gravel grinding”, just did a loop outside The Dalles yesterday. I should be posting a full report soon! What I’d like to do is ride from Hillsboro to Reheers camp and spend the night. Just gotta do it when it’s not packed with horses. 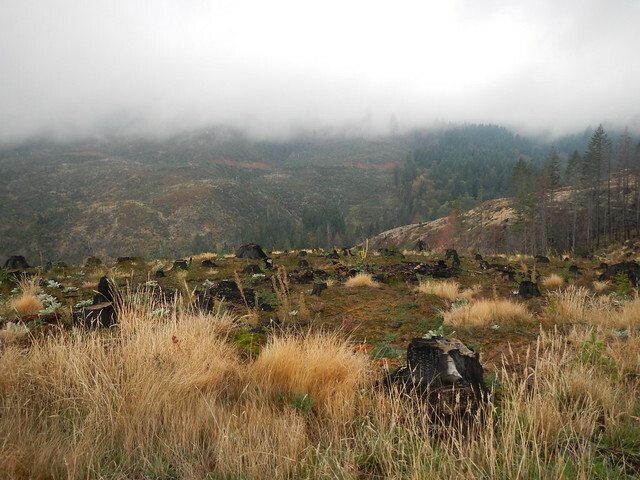 Should be doable from Hagg to Reehers all on logging roads.